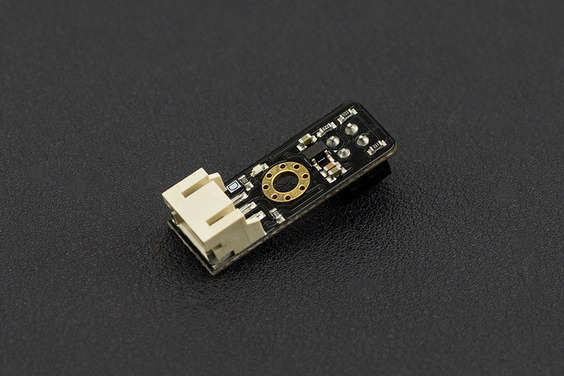 This is a line tracking (following) sensor to guide your robot by telling white from black quickly and accurately. It is commonly used in arduino robot project, and probably is the best line following sensor in the market. 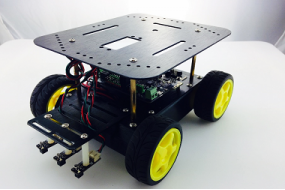 Line following is the most basic function of smart mobile robot. As you can see line tracking robot one of the easiest ways for a robot to successfully and accurately navigate. We designed this new generation of line tracking sensor to be your robot's powerful copilot all the way. It will guide your robot by telling white from black quickly and accurately, via TTL signal. With a drawed path and good programming can ensure results that are far more consistent than if the robot was simply told where to go without any reference. To improve its sensitivity we have replaced the old opto interrupt with high quality one on our latest version. Now the sensor is more accurate and It's simplified design make it compatible with most mobile platforms. You can combine several line following sensors with other ranged sensors, making mobile robots complete. With a sensor aiming the floor, not only you can detect lines, but often, floor with low reflection and dark color can be used to distinguish different areas. For example, a kitchen with a dark floor and a living room with a light or white floor, given this information to your robot you can keep it enclosed to a specific area or even let the robot know the area to change it's behavior. We've seen it also for stairs detector, when the sensor is triggered by the lack of reflection when high altitude is detected.